A great friend explains what most people do not understand about politics. “Below is a chart I sometimes use in presentations to explain the influence central committees can have on elections. Once it “clicks” and people see what the chart is really saying, I have actually heard audible gasps from the crowd. This topic is part of what will be discussed at the Ohio Precinct Project meeting in Troy, OH on June 27th. Register to attend at this link. 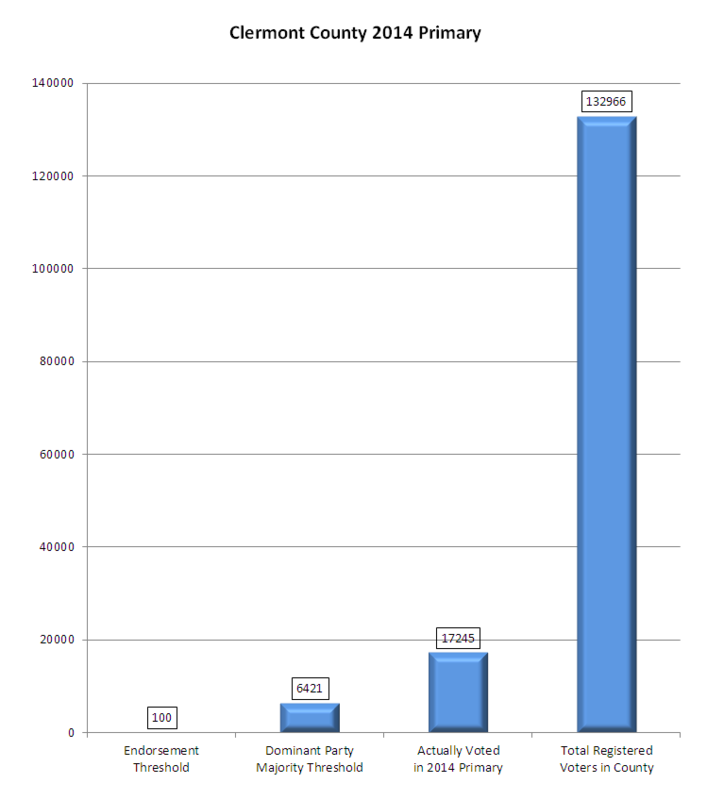 The chart depicts numbers from the 2014 primary election in my home county of Clermont. The first important fact to note is that Clermont is a “Republican” county. No Democrat has won a partisan race in Clermont for decades. This built in one-sidedness is not unique and resembles nearly 80% of U.S. Congressional Districts – and nearly all Congressional Districts in Ohio – which have been “drawn” or gerrymandered to be controlled by one or the other major party. 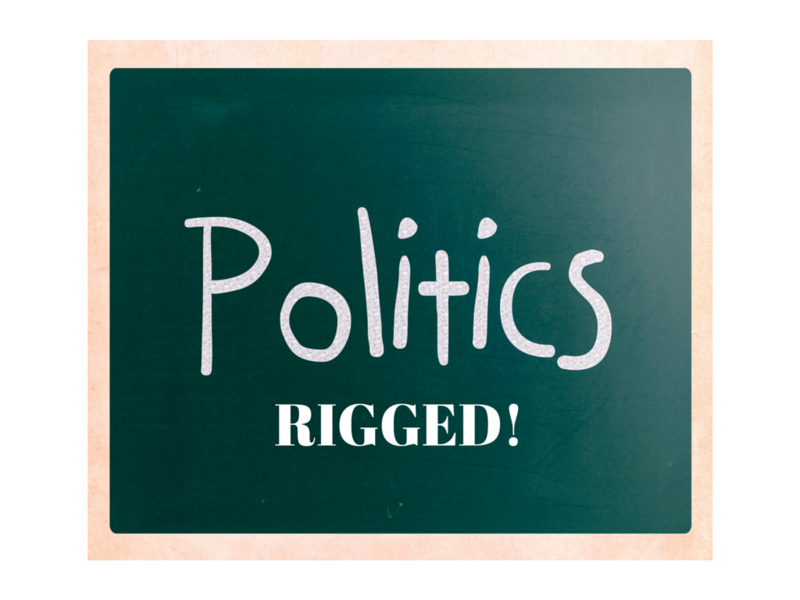 – Due to the lopsided one-party control, attempting to elect a new, non-incumbent representative in the general (i.e. November) is all but impossible. In such districts, the only opportunity to make a change is in the primary election. – The “fourth” column above (far right side) is the total number of registered voters in the county. – The “third” column is the number of voters who actually participated in the 2014 primary. Even though it was the deciding election, fewer than one in seven bothered to show up. – The “second” column is the number of votes needed to win a majority for the controlling party – in this case, the Republicans. – There are 166 precincts in the county. One person per precinct can serve on party central committee. 60% of the central committee – the 100 in the “first” column – is the number of votes a candidate needs to win a party endorsement. – If the local central committee votes to endorse a candidate before the primary, that candidate’s name goes on the party “slate card” or sample ballot distributed before the election. Candidates appearing on the slate card have about a 90% chance of winning the primary. 1. The central committee endorses a candidate. 2. The endorsed candidate wins the primary. 3. After the primary, the candidate goes on to win the general. 4. In effect, 100 people decide the election for 132,966 voters. While the particulars above vary somewhat by county, the good news is, with the proper tools, citizens all over our state have the ability to win back control of their elections. Join us at the Ohio Precinct Project meeting in Troy, OH on Saturday, June 27th and learn how regular citizens – just like you – can take central committees out of the hands of party insiders, improve voter participation in all elections, and help give voters better quality choices on Election Day.